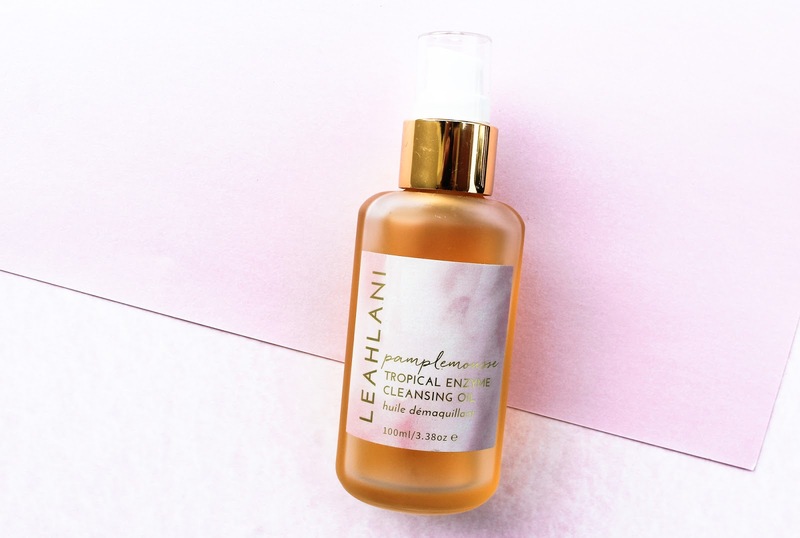 It's about time to properly review the amazing Pamplemousse from Leahlani, wouldn't you agree? 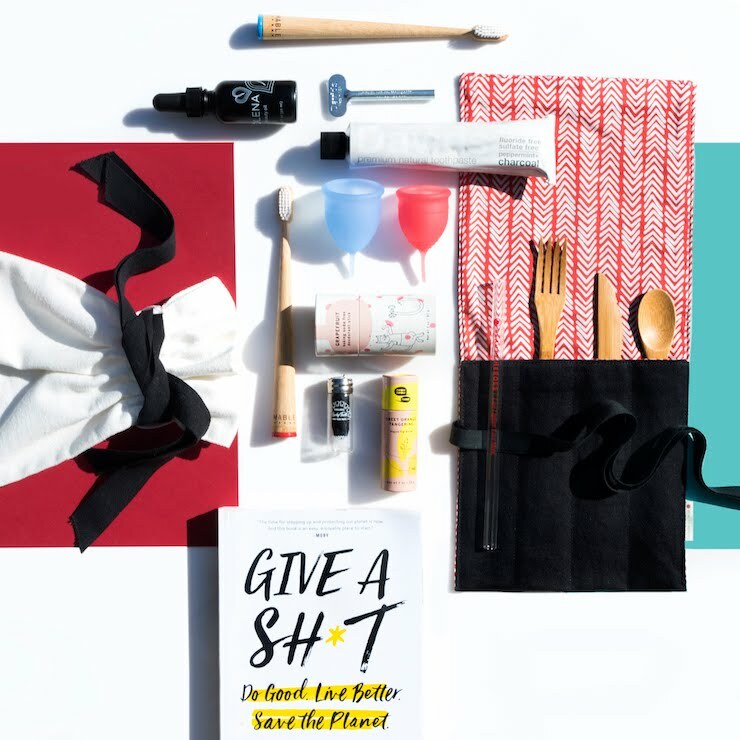 This is the newest product created by Leah but it's been a few months since its launch so I'm sure you all have seen it by now. I also wrote about it two times before, both times in "current faves": see here and here. I think I should stop calling it my current fave and just say that it's one of my favourite oil cleansers. 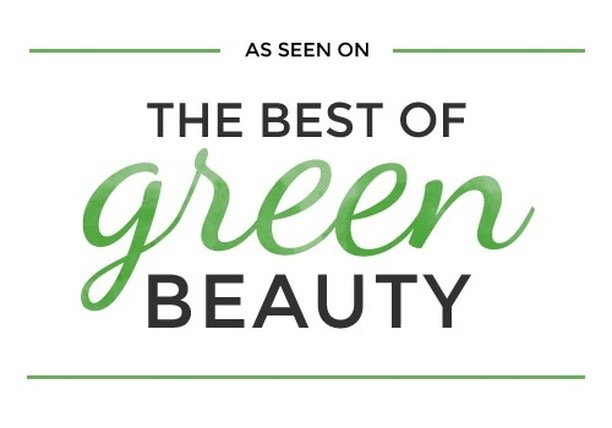 I don't throw around the word "fave" lightly and so far I have only named one product my fave and that is my beloved Farizad's Veil Sun Reflector* from Earthwise Beauty (review here). But Pamplemousse is definitely one of the top cleansers I have tried and that also says a lot. 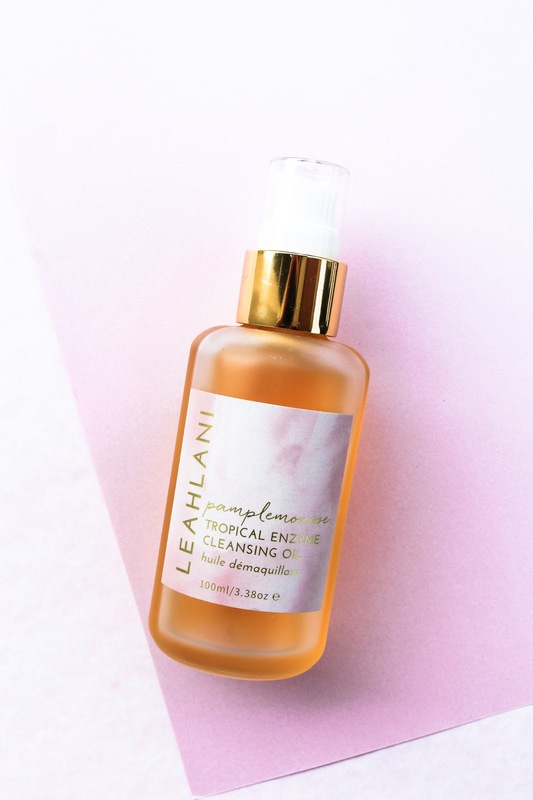 Leahlani Skincare Pamplemousse Tropical Enzyme Cleansing Oil* ticks all the boxes for me. 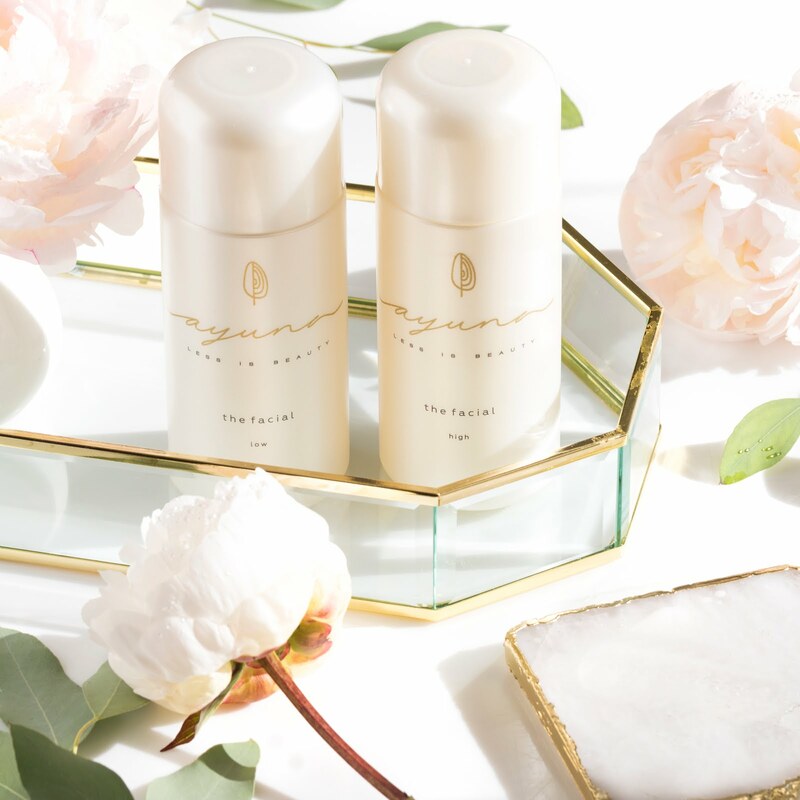 It has a lovely ingredient list, gorgeous scent, it truly beautifully removes makeup and leaves skin slightly hydrated and not dry, plus it rinses clean with water. First I want to say that I still have my first impression of it in my highlight stories on Instagram (under "pamplemousse"). My cousin's two year old boy loves to watch my stories where I talk and just the other day we were actually watching them together. A bit cringy for me but they boy loves them. And you should hear him saying the word pamplemousse, it's the cutest thing ever!! Another quick story to share is when he opened up my Fitglow mascara and combed his blond hair with it haha. So I used some Pamplemousse and clean it all out. But enough about that, I'm pretty sure this is only interesting and cute to me. 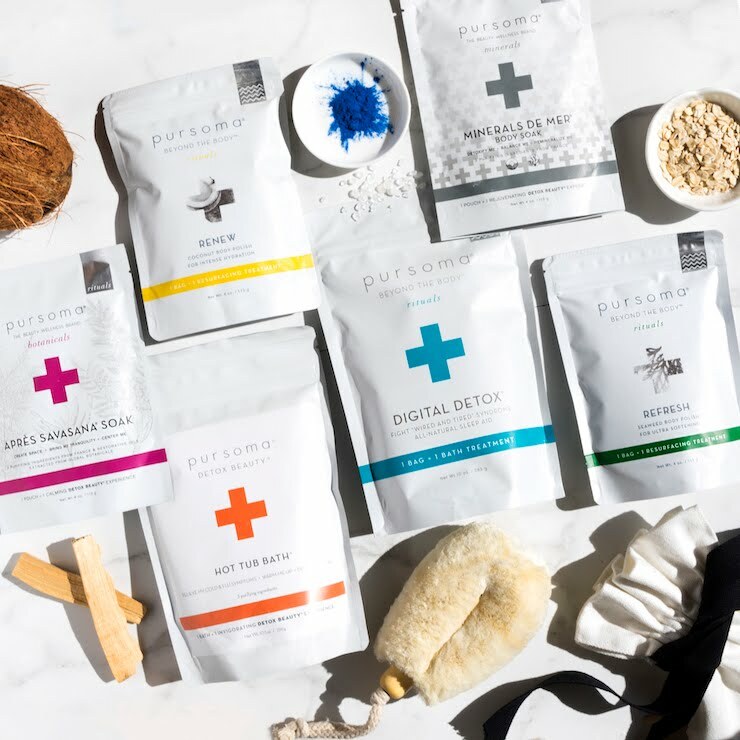 Pamplemousse (grapefruit in French) contains Macadamia Seed Oil, which is a lightweight and silken smooth oil, and a close match to our own naturally occuring sebum, Sunflower Seed Oil, Pink Grapefruit Peel Oil, which helps to purify, brighten and revitalize the skin. 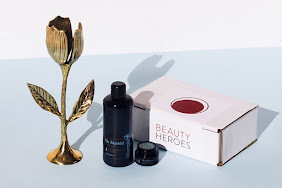 There is Acai Oil, with its impressive amount of antioxidants and strong anti-inflammatory properties, Hibiscus, also known as the "Botox plant", because of its firming and lifting abilities and it also contains natural AHA, and there are also Pineapple & Papaya Enzymes, which help to reduce inflammation on the skin, firm and improve the skins texture. There is also di-ppg-2 myreth-10 adipate, an emulsifier that I've talked about before (see here). At the moment I'm fine with using products that contain this ingredient. The scent of Pamplemousse is divine and just oh so good. I mean Leahlani products ALWAYS smell gorgeous! 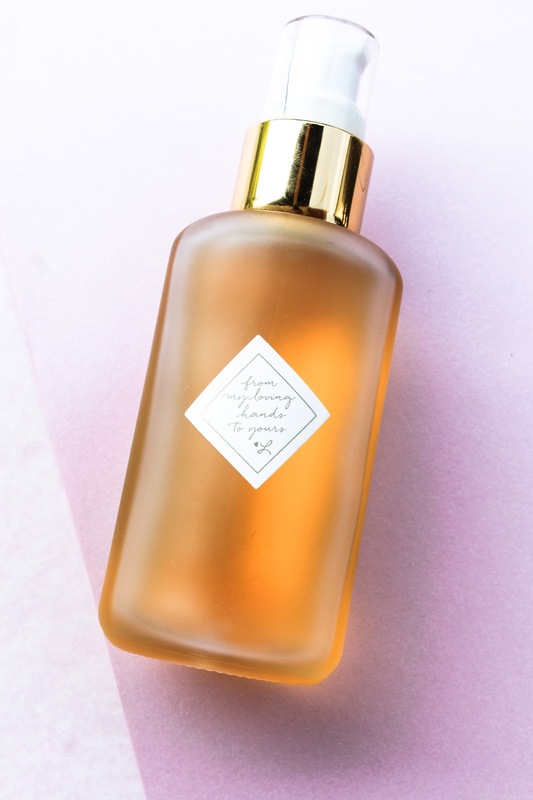 The cleansing oil smells of Grapefruit and Vanilla, it's warm, inviting, also a bit citrusy. I'm in love. Pamplemousse has this beautiful rich, orange colour and is packaged in a beautiful frosted glass bottle (+ a paper box). 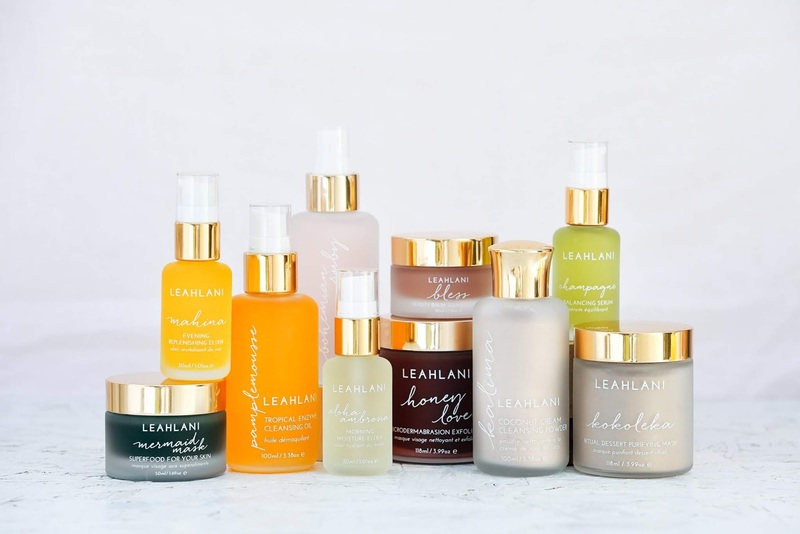 If you follow me on Instagram, then you might see that Leahlani just went through a little rebranding and their packaging now looks even better and more beautiful than it was before (see the photo bellow). Just look at all them colours! I really do love the way it looks now, so stunning. Pamplemousse is used as every other cleansing oil but it definitely doesn't feel like your typical cleansing oil. It feels velvety, lush and the scent just makes it even that much more pleasant and amazing. About three pumps make the trick for me when it comes to removing my makeup in the evening. It dissolves everything, from my concealer, blush and even mascara. There's no need for tugging the skin, just massage the oil gently onto the skin and it will lift everything, including SPF. After I massage my face for a bit, I love to add some water to my face and the oil turns from clear oil to this whiteish "creamy" cleanser. And then I just rinse it off with water. It's that simple! No need to use a washcloth, just splash your face with water and you're done. 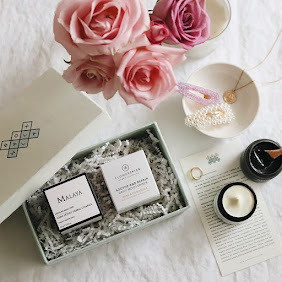 Whenever I wear makeup I always like to use another cleanser (like for example the Earthwise Beauty Marshmallow Face Cleanser* - review here, or Ayuna Nourishing Artisan Soap* - review here) but in all honesty, you don't even need a second cleanse. 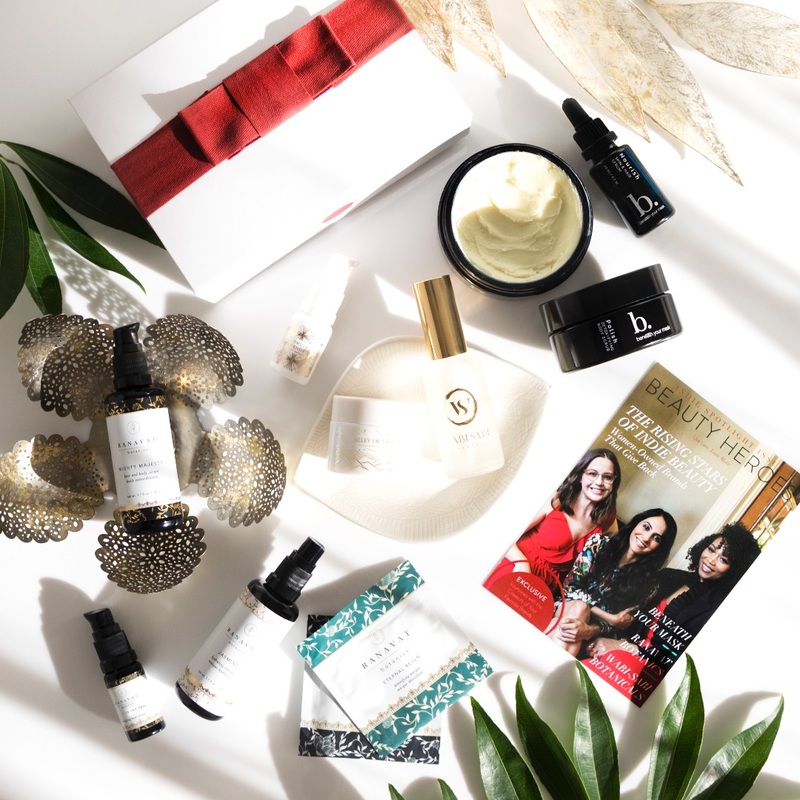 The cleanser leaves my skin properly cleansed, fresh and also slightly hydrated (less than the Marshmallow Face Cleanser though - saying this only because I described it in the same way). This last photo is from Leahlani's website. Pamplemousse Tropical Enzyme Cleansing Oil is just another absolutely beautiful product created by the sweet Leah. Forever in love with Leahlani products. You can get Pamplemousse straight from Hawaii, already in their NEW packaging! 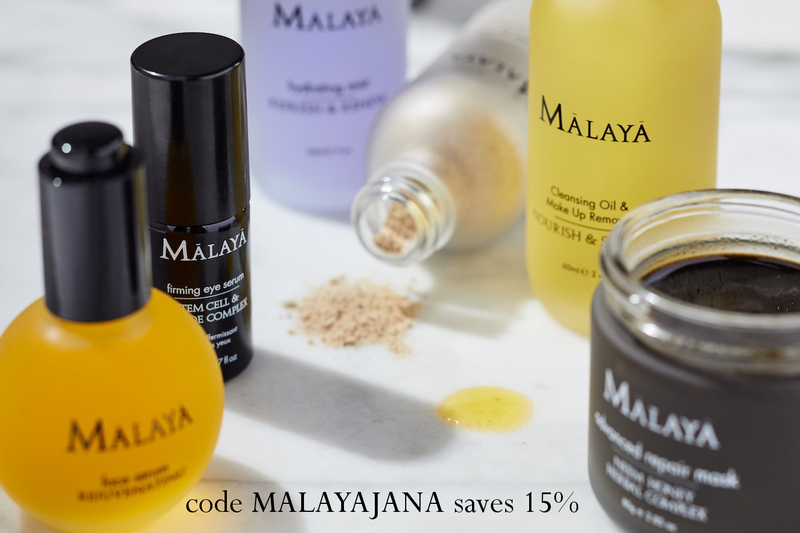 - click here to shop. 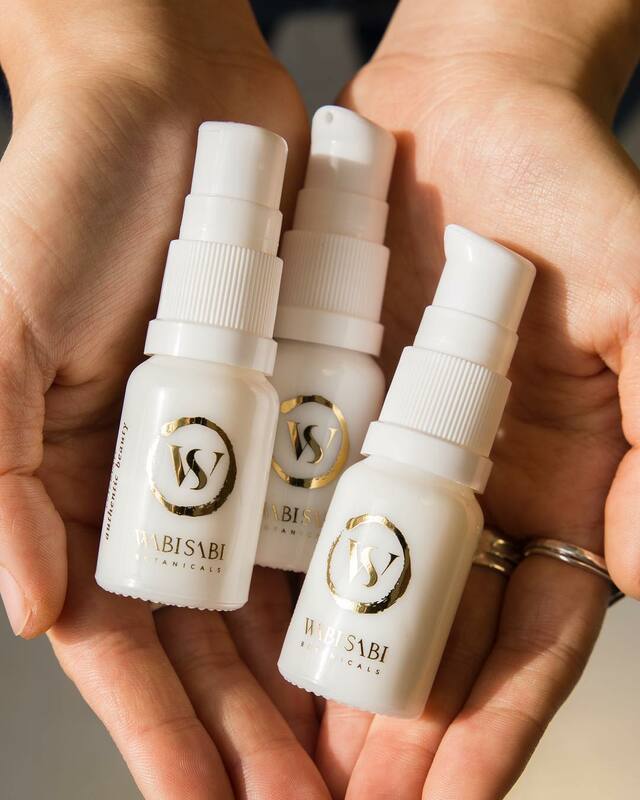 In Europe you can get it at a few online shops, like Reina Organics, Eminessences and So Natural Beauty. Seriously recommend you to try this or any other Leahlani product, you will fall in love immediately. 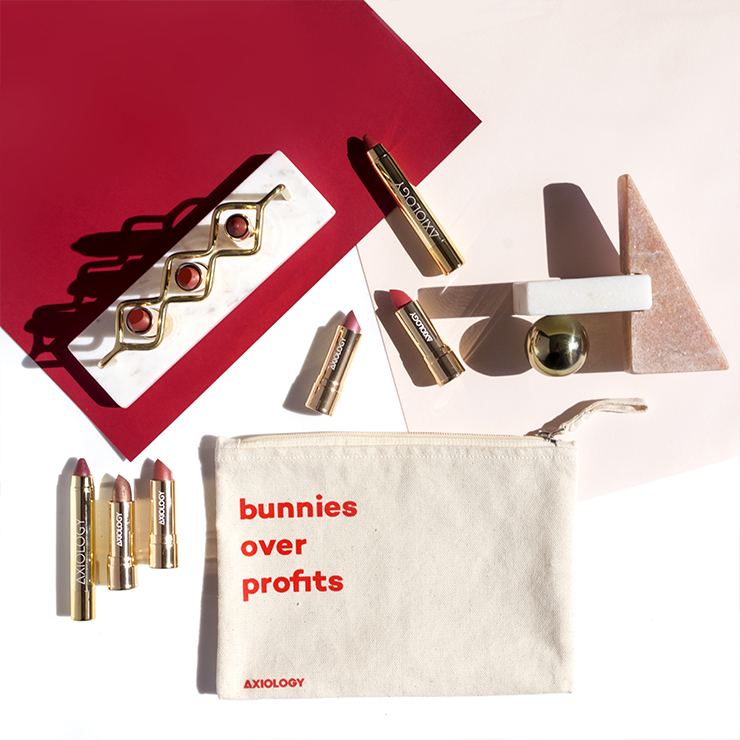 Shop here.